Remember when I mentioned that I was doing a detox back in January? I did it, and it was awesome! Five days got me more energy, clearer skin, and a general feeling of lightness that I assure you had nothing to do with lack of food. As you can see, this detox is powered by Shaklee, because you all know how I love and trust Shaklee! Done right, this detox is gluten free, dairy free, caffeine free, and of course free of nasty chemicals or preservatives. There is even a facebook group to give you support along the way! And here is the beauty of the situation - for the month of February Shaklee is giving a free membership ($19.95 value) to anyone with an order of 50 PV or more, AND a free canister of the 180 Smoothee mix ($48 value) to boot, which is used in the detox! Ordering with Shaklee will make you, your family and your home healthier. And in case you were concerned, there are no minimum monthly orders, and a 30 money back guarantee. Which means you have nothing to lose. So come join me in March, and kickstart your health. Let's get our bodies and our homes healthy and happy for the coming summer, because even if it doesn't feel like it, spring is right around the corner and summer isn't far behind. It's coming and I fully intend on being healthy enough, fit enough, happy enough to enjoy it! 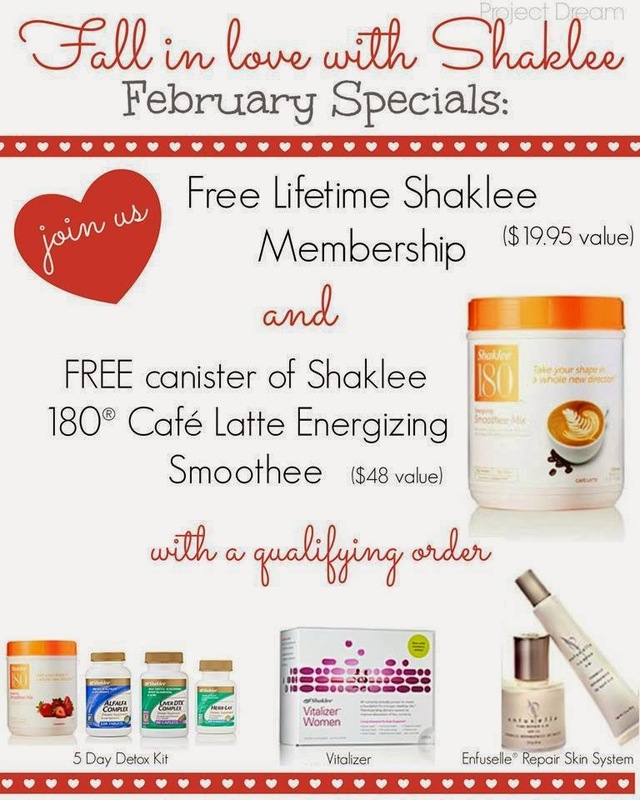 For more information about Shaklee's February special, click here. 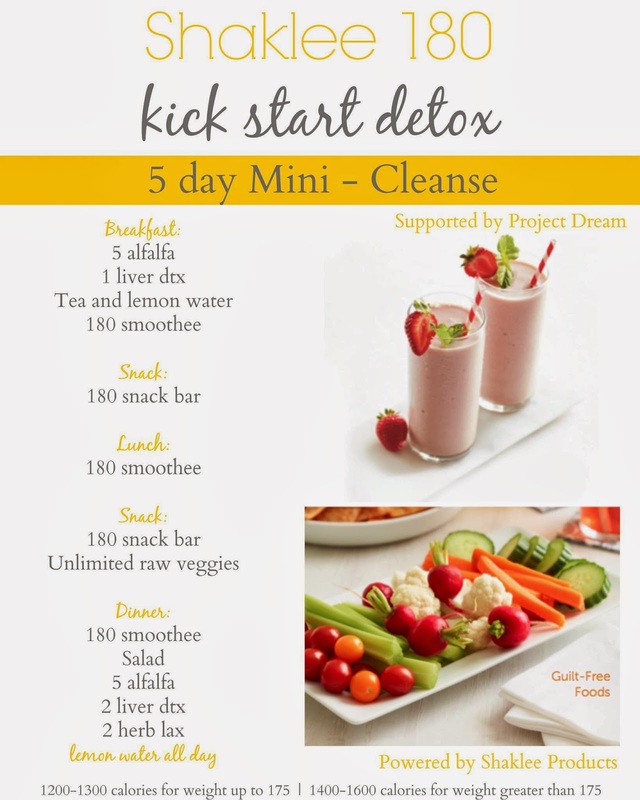 For more information about joining me in the detox, shoot me an email and I'd love to answer all your questions. detox is gluten free, dairy free, caffeine free, and of course free of nasty chemicals or preservatives. There is even a facebook group to give you support along the way!